Discussion in 'Electric Instruments' started by fuzx, Feb 5, 2017. Eddie kim, RevBillyG, Paladin and 1 other person like this. Late to the party here, but agree with pdiddy. I scored a 2014 S2 Custom 22 off CL last year that already had the stock #7's replaced with a Duncan JB/Jazz set. I've got to say that the Duncans sound really good in this guitar..
shimmilou, grausch, Russ73 and 3 others like this. While not a Custom, I LOVE the standard 22. I loved this one so much I went and bought it back from GC yesterday. That S2 Standard is an AMAZING guitar. If you find one that speaks to you, don't worry about the "details"....just play it and enjoy it. Gorlag, shimmilou, grausch and 3 others like this. Just got my S2 Standard today. I bought my first core model a few days after the S2 & it won't show up until next week. 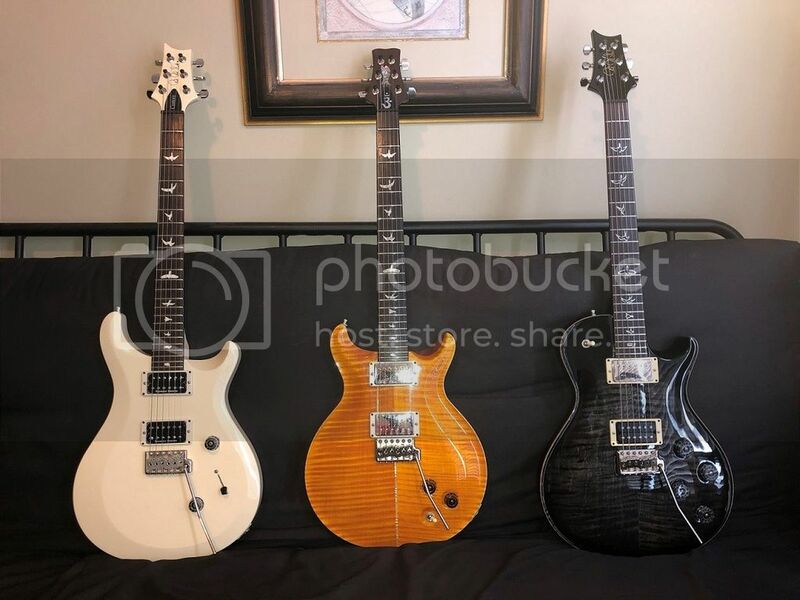 I don't know that I'll compare this guitar to my Les Pauls, Hardtail, or Mockingbirds as I think they're a different class of guitar all together. It's like asking Angus Young or Derek Trucks which is the better guitar, SG or Les Paul. SG or McCarty Private Stock... & they'll go on a rant about all the useless extras on the more expensive guitar. I bought this S2 for about what I'd spend on a quality used American Strat or Tele & it compares well. This Korean Tremelo works as well as the one on my American Special Strat. Looks & feels beefier too. The tuners felt cheap until I got some tension on them, & they lock. Guitar is pretty resonant. Neck is beefy enough, though I prefer baseball batish necks. Next time I think about buying a Strat or a Tele, I'm probably going to ask myself if I'd rather have another S2. New or used. Keep in mind, I'm one of those guys who will not spend more than $1500 on a Strat/Tele. I have yet to spend more than $3000 for a Les Paul. I doubt I'd spend more than that on a PRS, but we'll see. I doubt I'll spend more than $1500 on an S2. So that's how I look at it. Don't care how it compares to the core models, like I don't care how my Teles compares to a core. Paladin, garrett and Elliot like this. Someone mentioned in my first post about the s2. Anyone that owns one what are your thoughts? Used they are cheap but a couple hundered more I can get a ce used. I have searched and got mixed reviews. Everyone that had a core on most of the comments of the reviews said to get a core and not waste your money. I know about the hardware and pickups but for as cheap as they are used I could upgrade. Also watched the comparison videos that chapters did and he seemed impressed with the s2 custom. 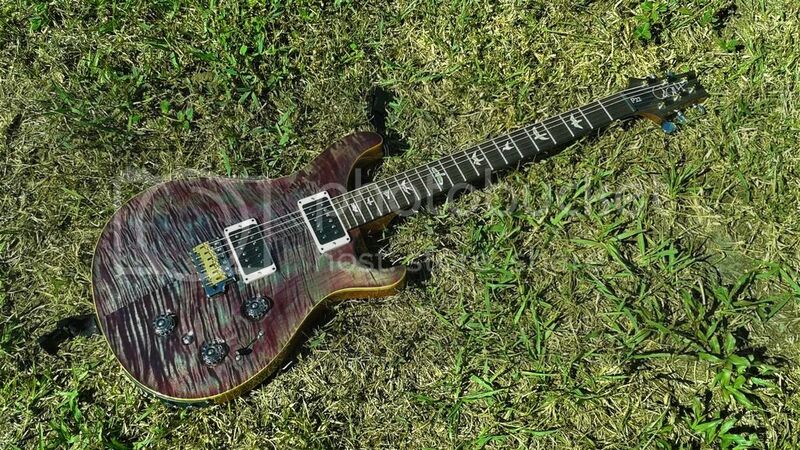 I searched prs s2 custom 24 and 22 didn't get a lot. Do I need to type something else to get better results? I have personally played an S2 Custom 22 Semi Hollow, S2 Custom 24, and a Vela. I personally prefer the S2 Custom 24 over all of them. If you are able to find some in the guitar store, I recommend playing them! That is the best way you can tell how you personally will like the guitar. I have an 2013 S2 CU24 along with a 1999 CE24 (HFS/VB) and 2004 CU24 (Dragon II's). I gigged them the other week through my Boogie Mk4. My wife, in the audience, said the S2 sounded so much better, and richer, than the others. I have to say, it did feel more responsive and resonant than the CU24 in particular. The S2 is completely stock. I've just fitted a Tremonti Treble in the bridge of the CU24, and will gig it at the weekend, in the hope that the expensive guitar will live up to its promise. I think pickups can wake up a sleeping giant of a guitar. 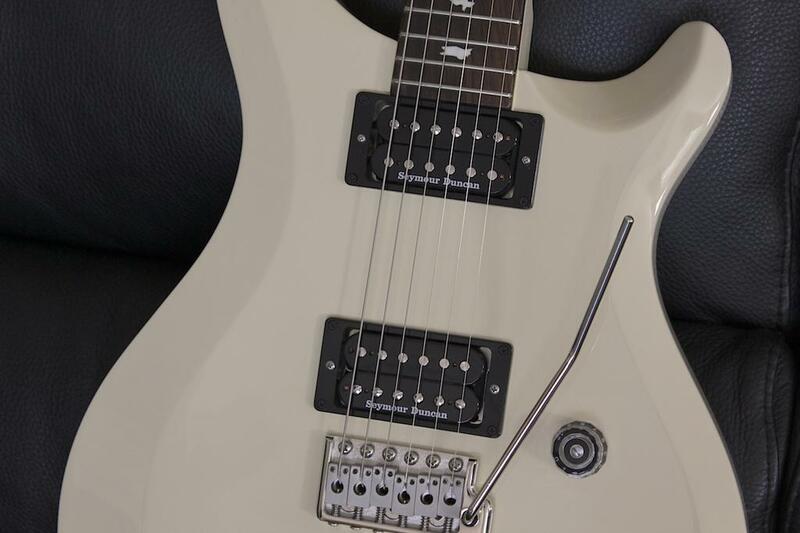 If it`s in there, the pickups can bring it out, but never the same pickups for every guitar. It`s interesting that you`re putting in a higher gain pickup to ge a "richer" sound. I`ll be curious to know if that worked for you. I did not like the VB/Hfs combo in my old CE 24. 57/08`s woke it up for me. Different strokes... different folks. Sounds like his idea... or his wife's idea of richer may not be the same thing as what I'm thinking. Like you, I would think the opposite of his results. But there's nothing wrong with that. If that's what they like to hear, that's what they like to hear. PeteHill, what are we talking about? 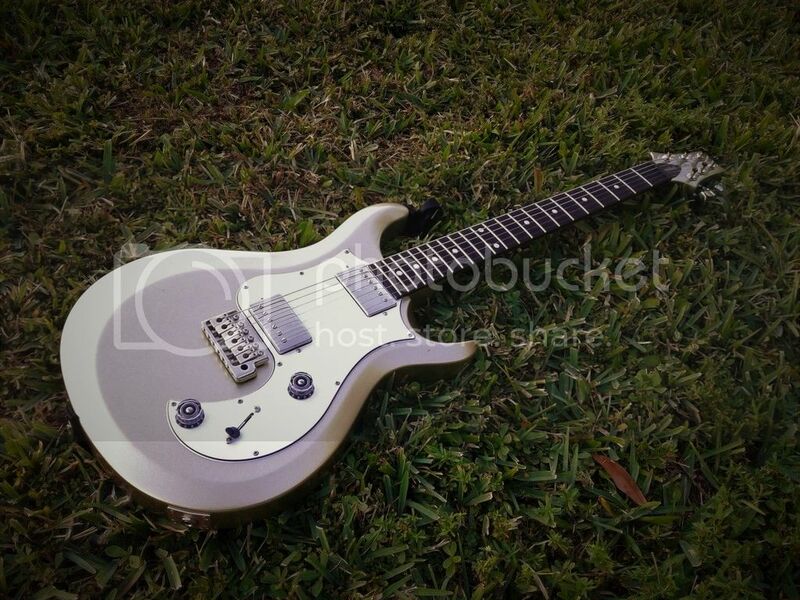 John Petrucci MKIV richer? or Myles Kennedy MKIV richer? I wouldn't know as I listen to neither. The tone I go for is essentially Gary Moore's "rock" tone. I play classic rock on high gain. I switch pickups a lot. I found that switching the Dragon 2's didn't offer enough contrast and the bridge pickup underpowered. The S2 sounded better balanced (for my needs) out of the box. Time will tell. dogrocketp, RevBillyG and Russ73 like this. I just got my first PRS a week ago. I own a Hollowbody Gretsch and a Jackson. I went up and down the state going to different shops playing different SEs, s2 22s, 24, vela, and CEs. To the point where I narrowed it down to two guitars. I was going to buy a CE or the s2 custom 24. I played both the same day, from different shops, and I went back to the s2. My wife even gave me the go ahead and to get the CE, which was a lot more. It seemed like the CE needed a set up, I couldn’t justify me liking a top better, over the feel of the neck and play a ability of the s2. I am maybe not a fan of the thin pattern neck? 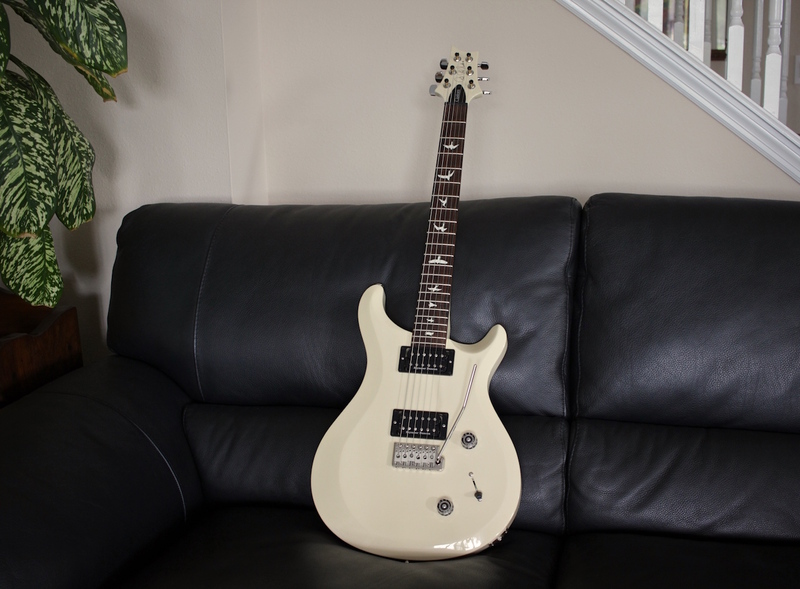 The s2 24 is one of the best guitars I have played. People compare and lump them in with SEs which is unfortunate because it’s a class of its own. However in the future. I want to replace the parts, to put in American made parts. 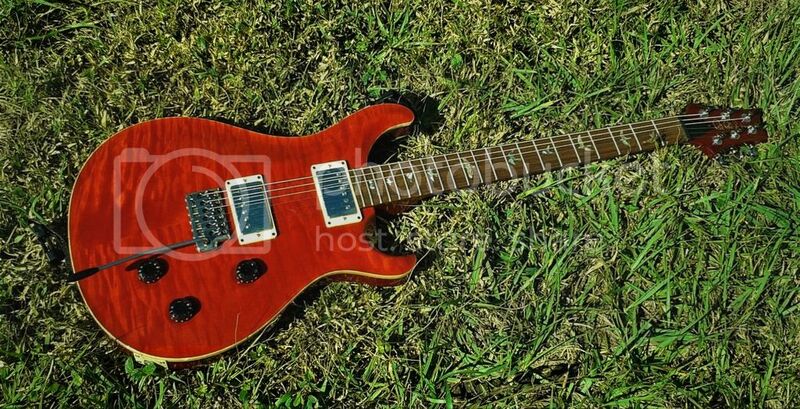 What American PRS pick ups fit in the s2? Or are they all compatible? dogrocketp and Rusty Chos like this. Congrats on your first! Any of the US made PRS pickups will fit in your S2. Gorlag and Rusty Chos like this. Any standard humbucker should fit with lots of options.....I put new PU rings and a SD Hot Set in mine, a new set of 500k pots, Orange Drop Caps. Switch-Craft 3-way Selector and new wire.....the stock tuners and tremolo worked fine so I left them alone. I played my S2 last week and tortured the crap out of it all night and it sounded great and stayed in tune flawlessly. Now while its not my Santana or Tremonti.....its really, really close. 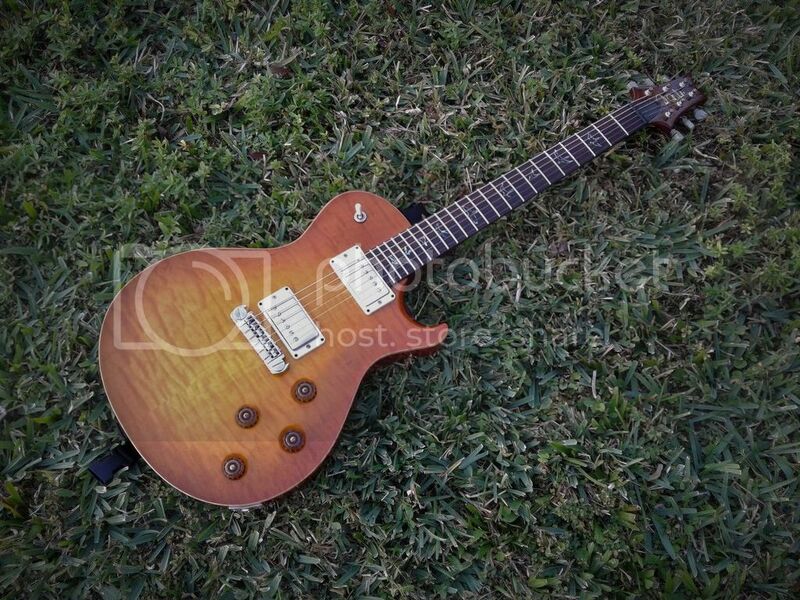 Congrats on an outstanding choice and one of the best values in new guitars today. grausch, Rusty Chos, Gorlag and 2 others like this. Thank you, it’s a great instrument. I haven’t put it down since I got it. That is very helpful, I was worried that they used different sizes. Thank you. Those look great! I understand what you mean about the tremolo. My Gretsch has a bigsby and it goes out of tune after one or two songs. The stock 85/15S in the 24 sound impressive, I read a lot of mixed reviews about them, to be honest I like them, so far, they sound great ton of different tone ranges. I’m not sure if I want to try a different pickup like the 57/08 or 59/09 or get American version of 85/15. Which do you prefer? That’s a difficult question....and to best help you, I would say if it were me....i would base it on the type of music I play most and what output levels of a PU you are comfortable with....I like most all Gibson burstbucker combos and versions in my LP’s as they are on the lower end of medium OP PU’s....then there’s the S2 with the high OP Jeff Beck in the bridge and my Tremonti bridge PU is a high OP cermamic PU....I love them as well and just plain awesome with a tube amp....then there’s the 58/15’s in my Santana, those can do it all IMO and kinda in between to my ears....So you can’t go wrong with USA 85/15’s or 58/15’s, they are fantastic for sure. I have a 2017 S2 Standard 22 and I want to know are there any tuners I can get that are direct replacements for mine? I find the original tuners to be terrible and in need of an upgrade. I am curious, what do you find terrible about them? I believe I have the same tuners in my custom 24. I could be wrong. After I set up and adjusted Intonation in the guitar. I have had very slight turning adjustments, even after a few hours of playing. I divebomb this guitar to oblivion. So idk. If phase 3 tuners fit in try them? I hear they are stiffer. Good luck. I will echo what others have said, in that the S2 and CE24 will sound different, which is likely the result of the different neck materials. I’ve heard the CE’s have core electronics and the S2s have SE electronics, however, I never heard anyone say anything bad about the electronics. The bridge on both S2 and CE is steel, whereas the Core is brass. The saddles are also of a different material, maybe steel on the S2 and CE vs aluminum on the Core (not entirely sure). The bridge works just as well as the Core bridge. Maybe some guitars might require a longer break in period of the bridge than others. I’ve heard of a person who went back and forth between getting an S2 then returning it. He stopped at his 3rd S2 without returning it. He returned the first two because he felt he didn’t need it or the guitar didn’t feel as premium as his core models. Then he would miss having the S2. He finally settled on his third S2 because in terms of sound and feel it was on par with his core models. Have you adjusted the tuners? They work fine if you do.